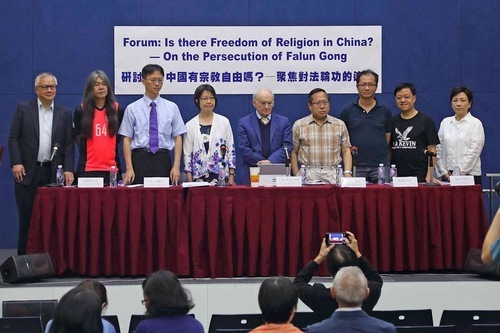 Political heavyweights and experts gathered in Hong Kong on June 10, 2018, to discuss how the Chinese communist regime persecutes Falun Gong practitioners and other religious groups. At the forum “Is there Freedom of Religion in China? — On the Persecution of Falun Gong,” legislators and experts criticised the Chinese regime for profiting from organs harvested from living prisoners of conscience–mostly Falun Gong practitioners–and called to stop the persecution of the spiritual practice. 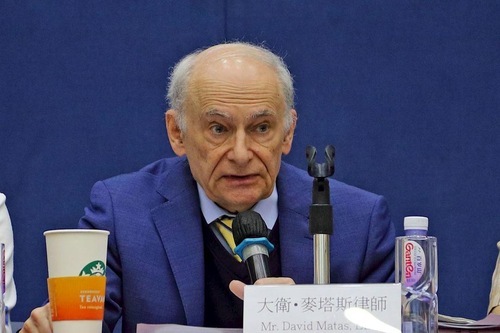 David Matas, a Canadian human rights lawyer, stated at the forum that religious groups in China, including Falun Gong, Tibetans, Uyghurs, and Christians, are slaughtered for their organs. Falun Gong practitioners account for half of the arbitrarily imprisoned population and suffer the worst kind of persecution, said Matas, who concluded that they have become an endless organ supply. The U.S. Department of State published its 2017 Annual Report on International Religious Freedom on May 29, 2018, which highlighted how groups such as Falun Gong practitioners have suffered severe persecution in China. David Kilgour, former Canadian Secretary of State for Asia-Pacific, has researched the illegal harvesting of organs from prisoners of conscience for more than ten years. He and Matas were nominated for the Nobel Peace Prize in 2010. Kilgour, Matas, and investigative journalist Ethan Gutmann published an investigative report in 2016 showing that the number of transplants in China exceeded official figures and organ donations by an order of magnitude. Matas said that the tremendous number of organs had to come from prisoners of conscience. He described the organ trade as an addiction of the Chinese medical system. As for why China’s communist regime targets Falun Gong practitioners for organ harvesting, Matas explained that, along with China’s economic reform, capitalism went from enemy to friend. The new “class enemy” of the Chinese Communist Party is the massive number of Falun Gong practitioners who do not follow the Party’s ideology. After demonising and dehumanising Falun Gong practitioners, the Party leadership saw that it could benefit from taking their organs. Canadian human rights lawyer David Matas. 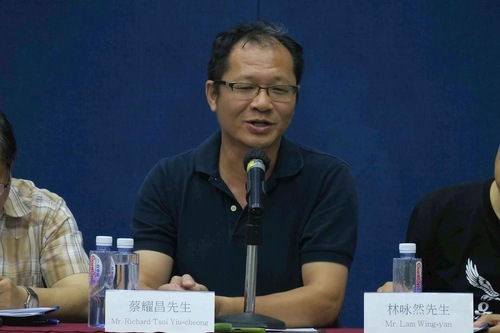 Dr. Shi-Wei Huang, a urologist and the vice president of Taiwan Association for International Care of Organ Transplants, said that so far China’s ruling regime hasn’t established an organ donation system in line with international standards. 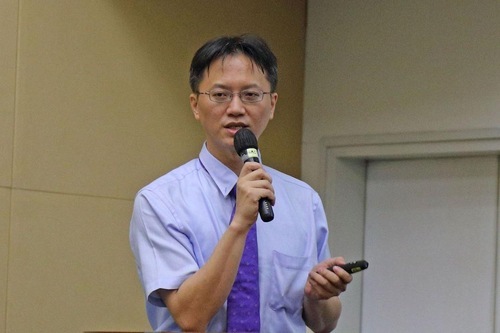 Shusen Zheng, head of the Organ Transplant Division at Zhejiang University Hospital, was banned from publishing in the journal Liver International due to concerns that the organs used for his research on 563 liver transplants were not ethically sourced. As a result, the journal retracted his article. Zheng was also a leading member of a Party organization that persecutes Falun Gong practitioners. Soon after, Jiefu Huang, China’s former Vice Minister of Health and current president of China Organ Transplantation Development Foundation, claimed that Zheng forged his research and that the hospital was allocated only 116 livers during the time of Zheng’s research. The former minister stressed that all 116 livers came from people who had died after cardiac arrest. “So who is lying, the university hospital or the former minister?” asked Dr. Shi-Wei Huang. Dr. Shi-Wei Huang said that organ transplantation has become a major source of income for most hospitals in China. For example, the Beijing No.309 Military Hospital stated that its organ transplant center was the main revenue source and that the centre’s income went from 30 million yuan in 2006 to 230 million in 2010. “So far there hasn’t been any international organisation allowed to conduct a professional investigation on how these hospitals are able to obtain such abundant organs,” asked Dr. Huang. 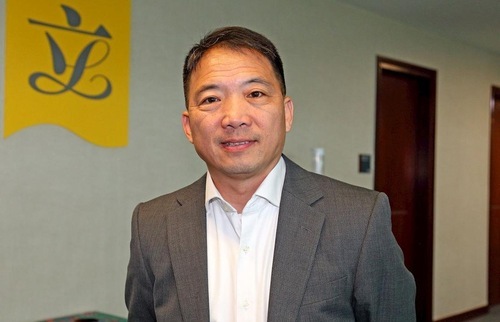 Albert Chun-yan Ho, former legislator and current chairman of the Hong Kong Alliance in Support of Patriotic Democratic Movements in China, said that international human rights organisations considered Falun Gong to be the most persecuted religious group in China. Ho stressed that the perpetrators who launched the persecution in 1999 must be apprehended and brought to justice for the severe violation of humanity and international treaties. Former legislator Albert Chun-yan Ho. 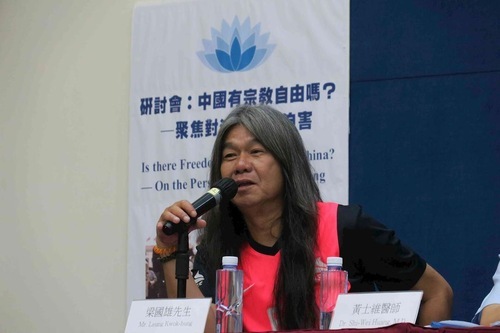 Former Hong Kong legislator Kwok-hung Leung said that many people were indifferent when Falun Gong began to be persecuted, and now more and more groups are being persecuted by the Chinese communist regime. “It’s been almost 20 years since the regime launched the persecution of Falun Gong, and we have all seen what Beijing is doing to Hong Kong. It’s a very important lesson to learn that he who persecutes one will persecute all,” said Leung. Kwok-hung Leung, former Hong Kong legislator. 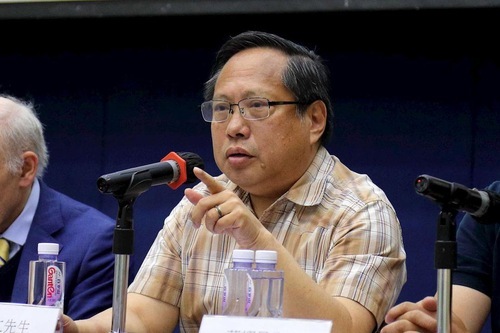 Richard Yiu Cheong Tsoi, deputy chair of the Hong Kong Alliance in Support of Patriotic Democratic Movements in China, put forth proposals for ways to fight communism. He also said that when the UN examines human rights conditions in China this November, the Alliance will submit a letter of opinion. Tsoi also encouraged other groups to do the same. Win-yin Lam, a former district council member, said that the Chinese Communist Party would crack down on those it feared; it feared that righteousness would overtake the masses’ belief in communism, and Falun Gong happened to represent the power of righteousness. Wing-yin Lam, former district council member. Chi-wai Wu, legislator and chairman of the Democratic Party, stated that there is no religious freedom in China under the CCP’s rule, as the Party fears that such freedom threatens its own reign. He said this was the reason Falun Gong was once supported by Chinese authorities and later became the victim of persecution. “This is the nature of the Communist Party,” said Wu. Cheng praised Falun Gong practitioners’ courageous in the face of persecution. 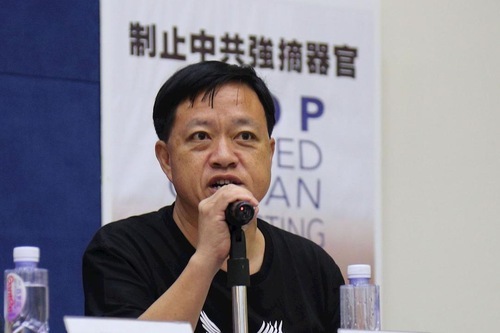 “The media outlets established by the practitioners are the only media that truly criticize the CCP’s reign, and it’s a very important contribution,” said Cheng. Chi-wai Wu, legislator and chairman of the Democratic Party.